MANU is a well-motivated and energetic student of Don Bosco Tech Sulthan Bathery. He hails from Thelambetta village of Wayanad and belongs to schedule tribe. He has successfully completed his intermediate. Due to his mother’s sickness and other family issues, he was forced to search for a job. So he worked as a daily wage labourer. He does not want to work as a labourer throughout his life. He was searching for an opportunity where he can to learn some skills and earn for a sustainable livelihood. He approached the Don Bosco Tech centre (Sulthan Bathery). While enquiring about the training, he came to know that the training imparted by Don Bosco Tech is completely free of cost. He thought that it was a golden chance for him so that he can lead a respectful life. He enrolled and selected Sales Associate domain. It was a life transforming decision. 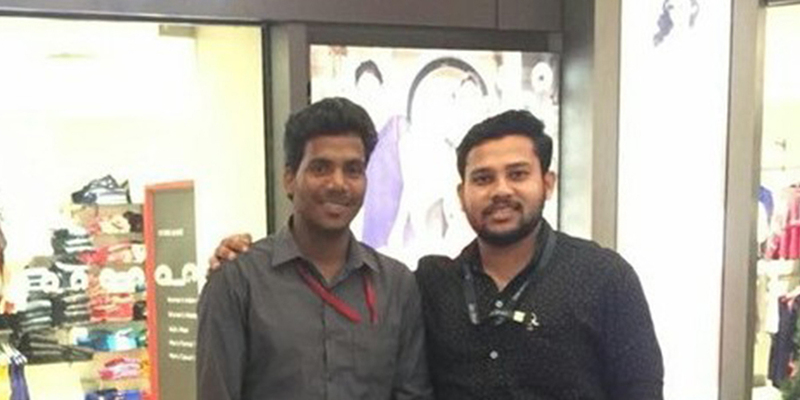 He successfully completed his three months training; and now he is working as a Customer Service Executive in Reliance Trends, Sulthan Batheri. “I love Don Bosco,” says the 23-year-old trainee Manu, who is an enormously talented singer. From an economically weak background, he is the strong-determined person to work hard and changed the fortunes of his family. His father had passed away; and he is the only source of income for his family. Now He placed at Reliance Trends and getting salary of Rs.10300 +incentives per month. He had planned to buy a bike and renovate his house.